Provide comfort for the family of Lola Quinn with a meaningful gesture of sympathy. Lola Mae Copley was the fourth and last child born to Arthur and Olive Copley on April 24, 1923 in Arriba Colorado. When she was born, her siblings were Glen, 17 years old, Ruth, 14, and Fay, 9, so she pretty much felt like an only child. Her mother was 31 when Lola was born. She and her parents almost never missed church services at the Congregational Church. She lived through the Dust Bowl when walking to school was treacherous since the sun was frequently blacked out, dust made visibility nearly zero, and students had to wear full stocking caps to protect their faces. She lived through a tornado in Arriba in 1938. Lola was always an excellent student, and won a spelling bee and could type 120 words per minute. She was 5'8" tall and a strong girl who played the bass drum in marching band. She was also a cheerleader and worked on the Arriba Aces Yearbook. While Lola was in grade school, Arthur contracted tuberculosis and had to be in the Sanatorium in Colorado Springs for over a year. Lola began spending a lot of time with her sister Ruth, husband Meldon, and the four children as they arrived, at their farm 10 miles north of Arriba. She helped with the children and farming. Her nearly destitute mother worked at cleaning houses, helping with canning, taking care of the sick, or any other odd job she could find. Once Lola's dad returned, he opened a feed store, loaded U.S. mail onto the train, was the Mayor,etc. .Lola went to work in the busy grocery store after she graduated. She caught the eye of a shy cowboy by the name of Dwane Quinn. After a time, he talked his sister Yvonne into going into the store and asking Lola to go out with him. After a year of courtship, they had a big wedding in her parents yard on June 11, 1944.Their marriage lasted a couple months less than 65 years, and in fact a group of friends hosted a 65th Anniversary Party for them before they left TX. They were blessed with 5 children. Sandra Dian was born April 14, 1945 in a blizzard at Ruth's farm. Frank Dean followed on December 3, 1946. Gail Marie was born at home in a blizzard with help from Dwane's Aunt Eva and eventually the doctor on November 16, 1948. Betty Mae was born on April 12, 1950, and Dale Arthur was born on June 18, 1953 in the same maternity home as were Frank and Betty. By 1946, Lola and Dwane moved 20 miles west to Limon, Colorado, where they remained until 1969 when he took a job selling Snap-On Tools with his brother Boyd in Colorado Springs. Lola was a wonderful mother. She fed her family well even though money was tight. She made most of her daughters' clothes including school clothes, prom dresses, wedding gowns and bridesmaids and flower girl dresses, ballet recital costumes, and of course dozens of Halloween costumes, costumes for school and Sunday School performances, etc. Lola attended every school program, church program, ballet recital that any of her children were in, and was a Cub Scout leader. She taught Bible School at the Baptist Church for several years. She and Dwane took the children fishing, sometimes leaving as early as 4 or 5 a.m. Some of the kids got to go deer hunting with them, or just dad. Lola and Dwane worked every day but Sunday. They got to take one vacation to the Black Hills in South Dakota. Lola decided her family was going to the Seattle World's Fair. Dwane and the kids thought it was a great idea, so everyone chipped in with babysitting money, odd jobs money, or anything else they could come up with. And off they went, also spending time in Yellowstone National Park. In Limon, Lola worked at the grocery store, a dry cleaners, a flower shop (who sent her to several flower-arranging classes), and the Safari Motel as a maid and sometimes night manager. A God-thing happened there one evening. Dr. Plachy, the President of Adams State College was in Limon at a Rotary Club Convention. After visiting awhile, she told him about Sandra who was then a Senior, and he told Lola that if Sandra would apply to Adam State, he would give her a scholarship for tuition and as long as good grades were maintained, it would last until she graduated. That same night, Lola demanded that Sandra get to the motel and finish up the essay that was due tomorrow and which she had for some reason procrastinated. She did so, and won a prize of $250 from the State Senator who sponsored the contest. When Sandy gave birth to Heather Marie, the first grandchild, Lola came to Alamosa and she and Sandy took Heather to meet Dr. Plachy. Lola belonged to PTA, Home Demonstration Club, Rebecca's Lodge, and attended the Baptist and later the Methodist Church. She and Dwane played lots of cards with friends and the relatives..
Lola and Dwane built a house four feet underground and four feet above from cinder blocks, which was great for temperature control -- and it had indoor plumbing and a bathroom!! They also grew big gardens every year, and soon Lola talked Dwane into buying the lot next door for Iris and other flowers. She joined the Elmohr Iris Club in Colorado Springs. Word spread and people from all over the state began coming to Limon to see her iris. Dale was a sophomore and the last child still living at home when they moved to Colorado Springs. He and Mom moved 300 iris with them. Soon after moving to Colorado Springs, Lola got a job managing the Veldkamp floral shop housed in the new Target and continued to do so until she retired thirteen years later. Of course she soon had her whole yard in flowers, even taking out the front yard and putting iris there. Lola's mother had painted, so Lola began painting, too. She also did china painting, rock collecting and polishing, hunting arrowheads, jewelry making, crocheting, embroidered pillows, did crafts including doing those with the Calvary Baptist Church group. Lola stayed active in the Elmohr Iris Club and served as president as well as other offices. Lola hybridized and registered many iris, her most favorite being Lola's Delight - a yellow and white one that smells like lemons. Lola won so many ribbons and Best of Show that she quit entering and just put her flowers on display. She became a National Iris Judge and traveled to conventions from coast to coast for 25 years. In 2016, she was honored at the Elmohr Iris Clubs ceremony as being a member for 50 years and being the last living member of the original club. She was bequeathed her own garden in the Loomis Iris Gardens at the Colorado Springs East Library. She was a national iris judge for 25 years, so that took her coast to coast several times. Speaking of flowers, Lola provided all the arrangement for Calvary Baptist Church in Colorado Springs. Some of the attendees simply knew her as "The Flower Lady". At Springwood, she always had an arrangement outside her door, and residents there often walked down her hall just to see what Lola had on display then. She has always been such a loving lady. Many friends from Limon or the grocery store made it a point to stop at Target to visit. Huge family dinners (40 - 60 people) were held on a regular basis while living in Limon, as a lot of the family lived close.. After moving to Colorado Springs and a smaller house, the dinners were often restricted to immediate family as each of her 5 children had married, and she soon had 8 grandchildren. Lola and Dwane began camping regularly with their children and grandchildren. Then they all got into trail bike riding. So Lola became a "motorcycle mama" after age 60. Once there were 24 riders and 8 more in truck. Once she and Dwane retired in 1981, they and their poodle, Rowdy, traveled to Zapata, Texas to visit her sister Ruth and Meldon. Many other people around Arriba were wintering there. Dwane and Lola bought a house that year and spent the next 31 winters being Snow Birds. All her children and many relatives and friends visited them at times. Dwane wanted to attend the Lutheran Church so they did. Again, Lola created a full life and many friends there. She entered County and State fairs with paintings, etc. Iris do not thrive there, but many other lovely flowers and fruit trees do. She has also written poetry, articles that were published in a famous newspaper all of us older people respected,(Capper's Weekly), and The Limon Leader. She wrote several plays which were performed for the Lutheran Church in Zapata at their annual Community Valentine's Day party usually attended by a hundred people. Lola and Dwane did a lot of traveling once they retired. Even in 1972, they flew to Hawaii for 12 days, and visited 4 islands. They visited their friends on Parker's huge cattle ranch. The next big trip was spending a whole summer driving around in their newly acquired motor home, where they stopped to visit their granddaughter Kim and husband Jim in Valdez Alaska. They also went to Victoria, British Columbia. They flew back to Alaska twice more. In the interim, they made a trip up to Niagara Falls and up the East Coast.. They spent a day visiting the home of the first Supreme Court Justice and writer but not signer of the Constitution of the United States, Oliver Ellsworth (he is her relative) in Connecticut. They later found his signature In the Nation's Capital Building. They took a trip to California. Since Zapata was on the Rio Grande River (borders with Mexico) they visited Mexico many times. They took one guided trip into the interior of Mexico as well. But her favorite trip was when she and Dwane went to Israel in 1998 with 65 people from Faith Bible Chapel. Lola said, "After 12 hours on the plane, we landed in Tele Vive and traveled all over Israel for 14 days. We went where Jesus Christ walked; to the sea of Galilee; the Dead Sea, to Jerusalem, to Bethlehem, and where he was crucified. We also went to the Museums of the Holocaust where 6 million children and adults died." Lola spent 50 years praying for Dwane's salvation. Gail and her granddaughter Cassy flew to Texas for his baptism. Both Lola and Dwane were baptized again in the Jordan River. Lola is survived by her five children and spouses: Sandra and Ray Joy of Evans, Colorado, Frank and Diana Quinn of Carbondale, Colorado, Gail and David Walker of Golden, Betty and Larry Kaufman of Marlow, Oklahoma, and Dale and Christine Quinn of Northglenn, 8 grandchildren: Heather Olson and husband David of Peoria, AZ, Eric Joy of Greeley , Craig Quinn and Patricia of Lakewood, Patrick Quinn of Washoe, Nevada, Amy and Rob Underwood of Cheyenne, Wyoming, , Suzanne and Chris Kolin of Golden, Greg and Sheri Kaufman of Colorado Springs, and Kim and Jim Woodhouse of Paauilo, Hawaii, 19 great grandchildren, and two great great grandchildren ( Danny, 6, and Dylan, 3, children of Kyla Joy Grover), a brother-in-law Lloyd and his wife Patricia Quinn, and their grandson Andrew, Lola's birthday twin. She is also survived by many nieces, nephews, cousins, and their families. She was preceded in deaths of her parents, Arthur and Olive, her siblings Glen, Ruth, Fay, their spouses, in-laws Yvonne Schwieger and husband Chris, Boyd Quinn and his wife, Eunice and Marvel Ann Quinn. .Lola is dearly loved by everyone at Springwood because how can you not love a woman who radiates so much love? She had been in hospice since September, but at times was healthy enough to go out. She went to Colorado Springs this fall with Frank, Diana, Gail, and Sandy to attend a lovely service and pot luck to celebrate the grand reopening of Calvary Baptist Church. It had had its roof set into the middle of the sanctuary by a 109 mile per hour wind. Lola was honored in the service, and was immersed in love by her Sunday School Class. She went out to eat often in the fall, and made it to Gail's for Thanksgiving and Christmas. She also went to her grandson Craig's home during that time. She attended Faith Bible Chapel, Bethel, and sometimes attended church services at Springwood. She has only sometimes gone to the lunchroom to eat during the last month or so. She spent most of her last two weeks in bed, and her last three days incoherent. She was more than ready to go HOME to her loving Lord. Lola helped plan her funeral. She asked Sandy if she was happy with all the arrangements. Sandy told her the only problem was going to be how we could do her Eulogy in anything less than 8 hours -- maybe 8 days!! How can you begin to condense someone with all these talents and personality into anything less than a book? We encourage you to share any memorable photos or stories about Lola. All tributes placed on and purchased through this memorial website will remain on in perpetuity for generations. 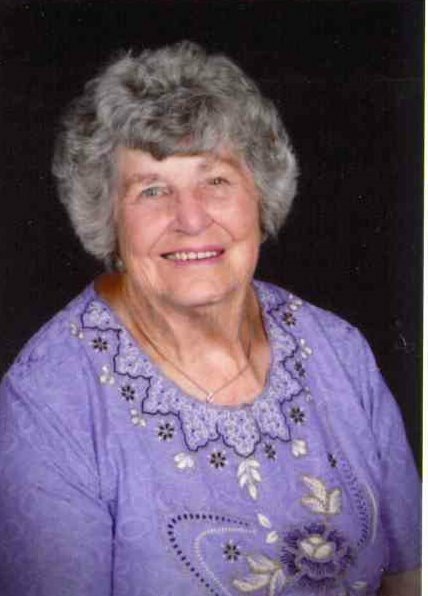 Provide comfort for the family of Lola Mae Quinn (Copley) by sending flowers.